Try our tennis prediction for today: Denis Shapovalov vs Stefanos Tsitsipas at ATP – SINGLES: Monte Carlo (Monaco), clay. Both Shapovalov and Tsitsipas enjoyed a hugely successful career at the Junior level. The Greek became the Junior #1 in 2016 and won the Boys’ doubles title at the Wimbledon Championships in the same year while Denis Shapovalov won the Boys’ singles title in Wimbledon 2016 as well as the Boys’ doubles title in the US Open 2015. Apart from their Australian Open meeting (Shapovalov won in straight sets), they met thrice in the Junior Circuits with the Canadian winning twice. Neither of them prefers playing on clay but Shapovalov has done better than Tsitsipas on the big stages (SF at Montreal Masters and R16 at the US Open), and expect him to have the slight edge in this first round clash. Denis Shapovalov, who turned 19 on Sunday, will kickstart his first Monte Carlo campaign against the fellow Next Gen Star, Stefanos Tsitsipas, on Monday. The Canadian won 28 matches (28/6) and two titles on clay in the ITF Pro Circuits two years back, but since he started competing at the Challenger and tour events, he has entered four clay tournaments and faced first round exits in all four (in 2017). Shapovalov has made an average start to the season for someone who won nearly 100 matches and six titles in the previous two seasons. Apart from progressing to the semifinal at Delray Beach and round of 16 in Miami, he has failed to win consecutive matches in any of the six tournaments that he entered so far in 2018. 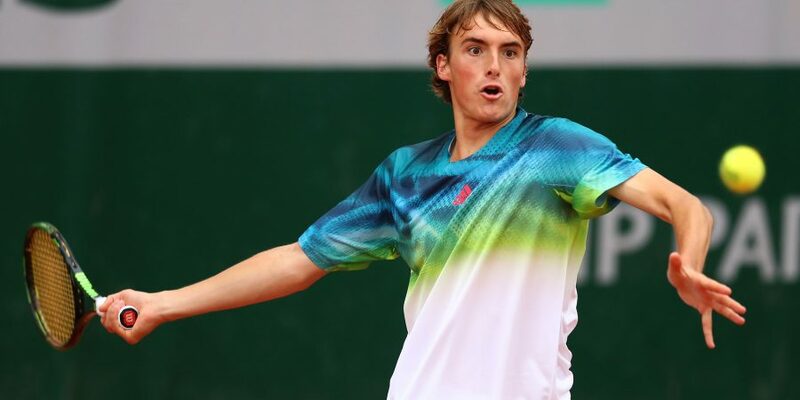 Stefanos Tsitsipas had to go through the qualifying stages to earn his maiden main draw berth at Monte Carlo. The Greek teenager did not face much trouble as he comfortably dispatched Florent Diep and Mirza Basic in straight sets. Unlike Denis Shapovalov (took three weeks break since Miami), Tsitsipas entered Le Gosier challenger after the Miami Open, where he faced a disappointing second-round defeat at the hands of Christian Garin (as the top seed). Though the Canadian handed Tsitsipas a straight-set defeat when they met at the Australian Open earlier this season, Tsitsipas is having a marginally better season as he has won more matches (13/11 vs. 11/8) and also made two quarterfinals (Doha and Dubai) and one semifinal (Quimper Challenger).